Shipping a piano requires basic knowledge of its working parts and also a delicate touch in order to prevent any type of damage during the transportation process. 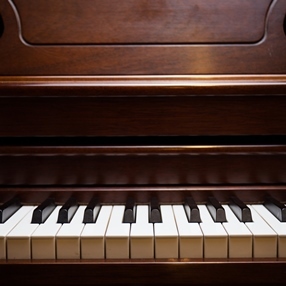 After all, a piano is not only a large and heavy item that is very hard to handle but also a sensitive musical instrument that requires special care and attention. For this reason, you should always hire experienced piano shippers for moving or shipping your beloved piano, no matter modern or antique. At Fine Art Shippers, we offer competitively priced piano moving services of the highest quality. Our team of expert piano shippers has years of experience in shipping pianos of any size and weight, which allows us to transport these delicate musical instruments safely and securely even within a short time frame. Whether you need to move an upright piano, a studio grand piano, or a concert organ, Fine Art Shippers can do it for you quickly and at a very reasonable price. However, if you still want to save some money, you can prepare your piano for the upcoming move yourself. In such a case, you will need the following tips from our specialist piano shippers. Since almost any piano is made of delicate wood, never allow the packing tape to come in direct contact with it. Lock the keyboard lid or, at least, make sure it is closed and tightly secured before wrapping and packing your piano. Use special padded blankets or thickly soft blankets to cover the piano casing, keyboard, strings, and soundboard in order to protect them from scratching or any other damage in transit. Secure the blankets with high-quality packing tape. Take shits of cardboard of the appropriate size and carefully secure them around the top of the piano to protect the delicate soundboard. If possible, remove piano legs with casters as they are usually not strong enough to support the weight of this huge musical instrument during the move. Properly wrap and pack the legs separately. After everything is done, your piano is ready for the move. Now, all you need to do is to hire reliable piano shippers able to deliver your treasured piano to the destination safe and sound. Fine Art Shippers is just the right choice for this responsible job! If you have any questions regarding our piano shipping services, please do not hesitate to contact our team. We will be happy to provide you with all the information you want to know!